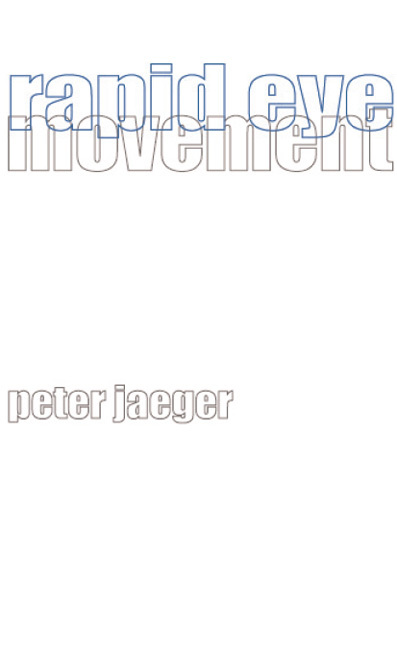 Peter Jaeger teaches poetry and literary theory at Roehampton University, in London. 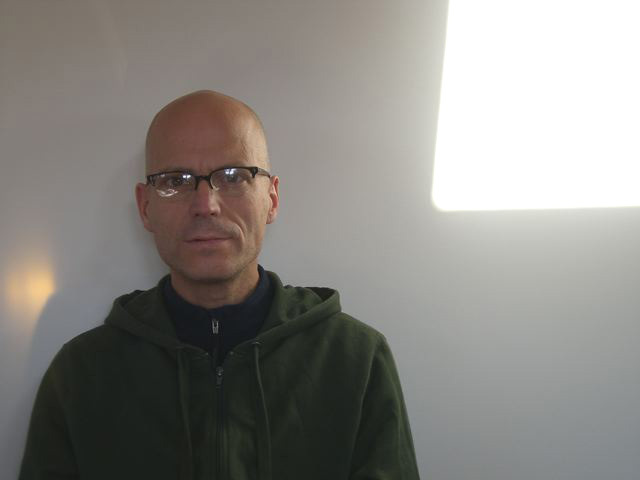 His work includes the poetry collections Power Lawn (1999), Eckhart Cars (2004), and Prop (2007), as well as a critical study on contemporary poetics, entitled ABC of Reading TRG: Steve McCaffery, bpNichol, and the Toronto Research Group (2000). He currently divides his time between London and rural Somerset, where he lives with his family. Rapid Eye Movement follows a strict constraint: two bands of text run continuously throughout the book. The top band consists entirely of fragmented dream narratives recorded by historical and contemporary dreamers, while the lower band juxtaposes found material which includes the word “dream.” No two sentences taken from the same source follow each other. As an investigation of the sign “dream” across a number of social discourses, including literature, psychoanalysis, advertising, popular culture, song lyrics, philosophy and religious literature, Rapid Eye Movement presents a record of our culture dreaming. "Jaeger dreams of the day when forestry operations can use balloon-based, skidding devices that float above the treetops and winch trees out of the forest without damaging the woodland floor. Jaeger dreams up some interesting shots. Jaeger dreams of peace. His book of dreams is not too different from a hope chest. His dreams are getting better all the time. His dreams are coming true."